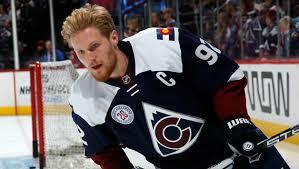 Gabriel Landeskog has been suspended for two games for checking Brad Marchand in the head. Marchand was eligible to be hit on the play, but the issue here is that his head was Landeskog’s principal point of contact. The fact that Landeskog was engaging in a blindside hit also worked against him because in that scenario, the onus was entirely on him to avoid the head. 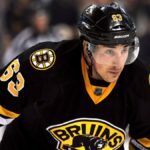 Marchand wasn’t hurt on the play but Landeskog has received a fine before and therefore has a history of supplemental discipline. He’s eligible to return on Thursday. 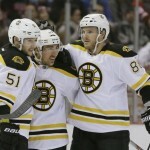 According to sources Brad Marchand was fined 5K for punching Landeskog in the incident.